Checkout 51: A New Way to Save Without Clipping Coupons! 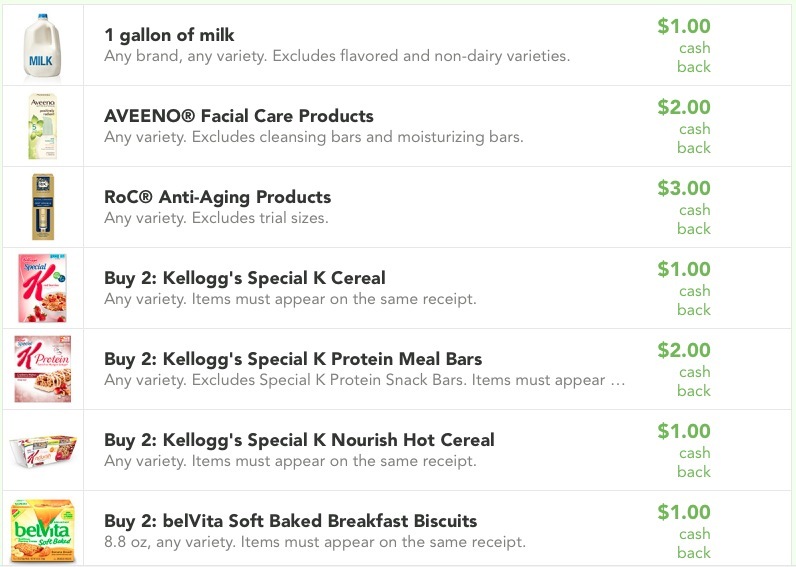 Checkout 51 is a new way to save money on groceries and more—without clipping coupons! You can download the Checkout 51 app or use Checkout 51 straight from your home computer. Checkout 51 helps you save money on the brands you love. Every Thursday morning, Checkout 51 updates with a new list of offers. All you have to do is pick the ones you like, purchase them at any store, and upload a photo of your receipt through their mobile app or website. When your account reaches $20, Checkout 51 sends you a check. Pro Tip from For the Mommas: Offers are valid Thursdays to Wednesdays. Items must be purchased and receipt must be uploaded within the valid date range. I signed up last week and already made three dollars. It is pretty easy just not a lot to choose from in terms off offers. Sounds alot like the Ibotta app, going to check this one out. Is it just for smartphone users? No, it’s not. I signed up via my computer. There are more offers available via SmartPhone, or so the site says. I haven’t downloaded the app yet. What do you do if you don’t have a smart phone? Do you use a digital camera to take a photo of your receipt and upload that somehow? I have a “dumb” phone and it has no camera. Can you have multiple items on one receipt? Yes… I did last week. You don’t have to have a smart phone for this site… You can take pix with your camera, save the pix to your computer than upload it… Be sure your items are clearly identified on the receipt or you won’t be credited for them… I just tried using a Dollar Tree receipt and one that had my marked down item as a generic entry… I even took the receipt with pix of the item… Good luck! Any way we can save those hard-earned $$$ helps. Inactive Account Management Charge-If at any time your account becomes inactive, we may apply an inactive account management charge of $2 per month, up to a maximum of the total amount in your account from time to time during that period in which your account is inactive. (Your account is considered “inactive” if you do not claim an Offer (whether we verify that claim as being valid or not) during any twenty-four (24) month period.) We may apply that charge on the first day of the month next following the date your account becomes inactive. (For example, if your account becomes inactive on April 15th, we may apply the charge on the following May 1st.) If you claim an Offer after we start applying the account management fee, we will stop applying that charge until any later time when your account becomes inactive. I don’t get it. Do I have to buy $20 worth of the offered products on one receipt? Because I don’t need $20 worth of any of that stuff. In order to get the $2 sign on bonus your first receipt needs to be at least $20 worth of anything. So you might have a $25 receipt that has one gallon of milk on it and you get the rebate for the gallon of milk AND the $2 sign on bonus because the total of your receipt was over $20. Don’t ask me why they want it to be over $20, but it doesn’t need to just be these items that you purchase. Hope that makes sense. can you only upload one receipt per week? or can I shop at multiple places and upload multiple receipts? The only thing I could find as far as receipt limits is you can only use each receipt once, meaning you can’t use the same receipt you used last week for the following week’s deals. I just did the $20 bonus and I didn’t even buy any offers on that reciept. It looks like it does have to be the *first* receipt that you upload – at least that is the way I read it. This is way too complicated; then they charge an inactivity fee to boot. I prefer savingstar over this any day. 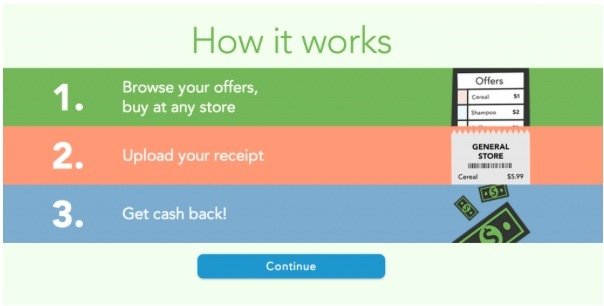 My question is when you are earning cashback from sites like this, Ebates etc. should you be registering that as income on your taxes? Or is this just a savings for purchasing? Don’t want to make my taxes more complicated. Is there a threshold on how much you can earn before counting it as taxes? HELP! I think it is like rebates you used to mail in. You are not “earning” money, you are getting the money you spent back. I am just starting my journey and have found your blog to be beyond inspirational. I have downloaded all of the printables that you have had up in the last few weeks, taking in a ton of free e-books, but this will be the first actionable step I have really taken and I am so excited. Thank you for all that you’ve put together here and all that you’ve done to help motivate me. If I purchase 5 items listed on 1 receipt, will I get credit for all of them? If not and I can’t submit same receipt more than once, how do you get credit for all of the items? I had two packages of Special K Cereal (1 offer) & 2 packages of Dole Salad Kit (another offer) on one receipt. Then I had a WalMart purchase of 2 packages Halls cough drops (1 offer) on another receipt. I submitted both receipts the same day & was credited for all three offers. I circled the items that qualified on the receipts before taking the pictures. The picture does need to be of the entire receipt–be sure it includes your date of purchase. In less than 1-2 hours after I’d submitted my receipts, I received an email stating, “Your receipt has been processed” & listed the offers they had credited me for. If I had purchased more salad, it would’ve only credited me one salad offer. I hope this helps clarify. If you decide not to use it any more, can you cancel the app so you do not get charged an inactive fee? I assume the fee comes out of your earnings with the website/ap. I haven’t entered any payment info. and there’s no reason they need it, so they can only take the fee out of your balance on their site–if you have one. On programs like this one and swag bucks, does it count as income and need to be filed on taxes? I just want to make sure I keep track of the ones that I need to record on taxes. Do not want to have any surprises down the road. It says it will give me money but how? They don’t have my address. I assume that when the “CASH OUT” button is available, you will be asked to enter your mailing address. If we do not have a mailing address for you, we have the right to notify you by email to require you to provide a mailing address within 30 days of the notice and if you don’t provide a mailing address by that time you will forfeit the funds remaining to your credit. do I have to blur anything out in my receipt? with a sharpie, like my credit card info? usually your credit card info is at the bottom of the receipt and you should be able to just cut it off. Be careful and double check where the date is on the receipt, if it’s at the bottom it would be better to just black it your credit information. I am new to this app. I just purchased a juice that said $1 cash back, with a limit of 2. Does that mean I’ll get $1 back for each juice? Or $1 total after purchasing 2?